Connections Academy has ties to the American Legislative Exchange Council (ALEC) and other organizations promoting a for-profit educational model from which it stands to benefit financially. Both on its own and as a member of ALEC, Connections Academy has pushed a national agenda to replace brick and mortar classrooms with computers and replace actual teachers with "virtual" teachers. Many have questioned the company's extraordinary revenues, generated at taxpayers' expense. There has also been criticism of the quality of the teachers, the lack of government oversight and democratic accountability, as well as the appropriateness of taking children as young as five out of a classroom of their peers and putting them in front of a computer screen, according to the Washington Post. 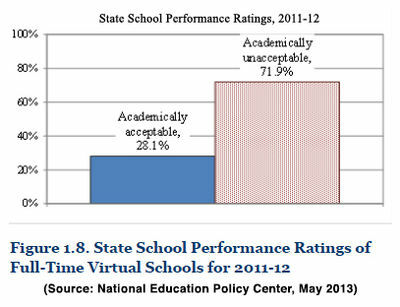 For many years, there was simply no data on virtual school performance. In 2012-13, state data became available indicating poor student achievement, as well as high student turnover, high student-teacher radios, uncertified teachers in some states (such as Florida), and a funding formula that often gives companies extended periods of public funds for a child when the child may only stay at the cyber school for a brief period of time. This new information has led some educators to call for a moratorium on the growth of full-time charter schools until policy-makers can assess the reasons for their significant failure to educate children. FOUNDING AND OWNERSHIP: Sylvan Ventures started Connections Academy in 2001, opening its first schools in 2002, according to the company's website. In 2004, it was sold to Apollo Management, L.P., a corporate investor specializing in real estate. In 2011, Connections Academy expanded to form a new corporate entity, Connections Education, which includes Connections Academy (operator of "online public schools" and an "online private school" through International Connections Academy), Nexus Academy (a "tuition-free, college preparatory, blended learning experience" for high school students), and Connections Learning (provider of various individual "courses, clubs and activities"). Later in 2011, Connections Education was acquired by Pearson Education, part of the global corporation Pearson PLC. In 2014, Pearson reported that Connections Education was experiencing "good growth," with the number of students up by 15 percent from the previous year. BUSINESS MODEL: Connections Academy currently operates tuition-free online "public schools" under management contracts from charter schools or school districts in Arizona, California, Colorado, Florida, Georgia, Idaho, Indiana, Iowa, Kansas, Louisiana, Michigan, Minnesota, Nevada, Ohio, Oklahoma, Oregon, Pennsylvania, South Carolina, Texas, Utah, Wisconsin, and Wyoming in 2013, according to the company's website. In recent years, there has been an explosion of virtual schools (also called internet schools, cyber schools, and online schools). From 2008 to 2012, 157 bills passed in 39 states and territories (including the District of Columbia) that expand online schooling, regulate virtual education, or modify existing regulations, according to a National Conference of State Legislatures (NCSL) database. Many of these bills are attributable to American Legislative Exchange Council (ALEC) politicians. As discussed below, ALEC passed a "model" virtual schools act in 2004. Until recently, data on performance was scarce, but educators at the National Education Policy Center (NEPC) did two of the first empirical studies in 2012 and 2013 on the effectiveness of full-time online schools. The authors concluded that despite the amount of taxpayer dollars going towards these schools, there is "very little solid evidence to justify the rapid expansion of virtual education." One of the studies, looking at state data on performance, shows major problems with cyber schools. The 2013 report by NEPC notes, "on the common metrics of Adequate Yearly Progress (AYP), state performance rankings, and graduation rates, full-time virtual schools lag significantly behind traditional brick-and-mortar schools." In the 2010-2011 school year, only 23.6 percent of virtual schools met AYP standards, whereas 52 percent of brick-and-mortar public school districts and charter schools met the same progress standards. According to another (2012) report by NEPC, "Among the large-sized EMOs, those companies with the lowest proportion of schools meeting AYP are White Hat Management (7 percent), Charter Schools USA (10 percent), Educational Services of America Inc. (10 percent), Connections Academy (27 percent), Academica (29 percent), and K12 Inc. (33 percent)" (emphasis added). The same study also shows that on-time graduation rates are much lower on average at online schools than at all public schools in the United States: only 37.6 percent of students at virtual high schools graduate on time, whereas the national average for all public high schools is 79.4 percent, more than twice that. Other critics have wondered where some of the taxpayer dollars directed to online schools end up. A ten-month investigation of Colorado virtual schools found that half of the students of online schools left within a year, and that when they returned to brick-and-mortar schools they were often further behind academically than when they started. Pearson's 2014 annual report stated that "Connections Academy Schools have consistently high performance ratings," but this claim was apparently based on comparing Connections only to other virtual schools: "At full-time virtual schools supported by Connections Education, virtual students consistently outperform their virtual school peers on state standardised tests." "Option A: $7,500, a student-teacher ratio of 35-40 to 1, and an average teacher salary of $45,000. "Option B: $6,500, a student-teacher ratio of 50 to 1, with less experienced teachers paid $40,000. "Option C: $4,800 and a student-teacher ratio of 60 to 1, as well as a narrower curriculum." "Despite lower operating costs, the online companies collect nearly as much taxpayer money in some states as brick-and-mortar charter schools. In Pennsylvania, about 30,000 students are enrolled in online schools at an average cost of about $10,000 per student. The state auditor general, Jack Wagner, said that is double or more what it costs the companies to educate those children online." Apart from earning profits at the taxpayers' expense, Connections Academy and other online schools consistently fail to meet academic standards at the level of brick-and-mortar public schools. Data show that virtual students trail traditional students by almost every academic metric, as reported by the Manitowoc Herald Times Reporter in Wisconsin. Connections Academy was a long-time member of the American Legislative Exchange Council (ALEC). Mickey Revenaugh, Connections Academy co-founder and Executive Vice President of Sales and Marketing at the Connections Learning division under Pearson, was the co-chair of ALEC's Education Task Force as of May 2012. Connections Academy was heavily involved in ALEC's model bill, the "Virtual Public Schools Act," which makes online schools recognized public schools, meaning they must be given the same resources and funding as other public schools in that state (see below for more). ALEC bills benefiting Connections Academy are still moving across the country, however. At least 139 bills promoting a private, for-profit education model were introduced in 43 states and the District of Columbia in the first half of 2013, and 31 became law, according to "ALEC at 40: Turning Back the Clock on Prosperity and Progress," an August 2013 report by the Center for Media and Democracy (CMD). Connections Academy, together with another for-profit provider of online education, K12 Inc., was heavily involved in ALEC's model bill, the "Virtual Public Schools Act," which makes online schools recognized public schools, meaning they must be given the same resources and funding as other public schools in that state. As noted by PRWatch, the ALEC bill "provides that virtual schools should be paid the same per pupil rate as public schools that actually provide bricks and mortar public schools, with desks, heating and A/C, lunch ladies, playgrounds, gyms, in-person teachers, and extracurricular activities like sports, orchestra, and student councils." In 2004 when the "model" bill was drafted and approved, both Connections Academy and K12 Inc. were part of the "School Choice Subcommittee" of ALEC's Education Task Force, according to an archived version of ALEC's website from February 2005. The subcommittee recommended six bills for adoption, including the "Virtual Public Schools Act." According to ALEC, the bill was drafted by Mickey Revenaugh of Connections Academy along with Bryan Flood of K12 Inc., then-Colorado Representative Don Lee (now a lobbyist for K12 Inc.), "and the rest of the Subcommittee." The bill was approved at a closed-door meeting of the ALEC Education Task Force in December 2004 and became model legislation in January 2005, when ratified by ALEC's Board of Directors. 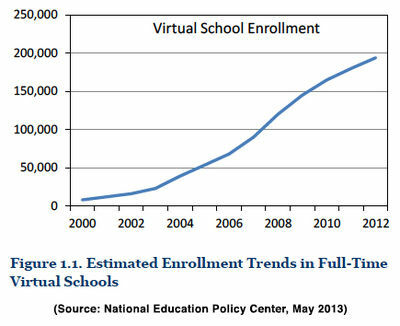 The "Virtual Public Schools Act" is still moving in 2013. Between January and August 2013, state bills similar to ALEC's "model" were introduced in Arizona and Maine and passed in Michigan (HB 4228), according to CMD's report on ALEC bills in 2013. Previous to 2013, the bill was introduced in at least Mississippi, Maine, Tennessee, Massachusetts, Virginia, and Texas, according to a September 2012 report by In the Public Interest (ITPI). The bill paved "the way for corporations to offer virtual online classes to public school students. In many of these states, legislators that sponsored this legislation were members of ALEC," according to ITPI, which describes itself as "a comprehensive resource center on privatization and responsible contracting." The legislation offers enormous opportunities for the corporations that promoted it with the help of ALEC. In the states that have passed the model bill, these companies have strong operations. Connections Academy runs a virtual public school in Texas and has schools under development in Tennessee and Virginia. Connections Academy was the private sector chair of ALEC's Education Task Force when the task force approved the "Parent Trigger Act," which allows parents at any failing school -- defined by standardized testing -- to sign a petition to radically transform the school using any of four "triggers": Parents can petition to 1) fire the principal, 2) fire half of the teachers, 3) close the school and let parents find another option, or 4) convert the school into a charter school. "Parent Trigger" was romanticized in the Hollywood film, "Won't Back Down", in which filmmakers portrayed the laws as an effective mechanism for transforming underperforming public schools. In actuality, only two school districts have used the petition mechanism. One petition was thrown out by the courts. And both petitions, "instead of prompting reform-minded unity, . . . have been criticized for creating 'chaos and division' in the community," as noted by PRWatch. The ALEC Education Task Force voted to approve the "Parent Trigger Act" in December 2010, and the idea quickly spread. According to analysis by CMD, ALEC members had introduced or cosponsored various versions of the bill in 17 states as of September 2012, and 12 more states introduced similar bills in the first half of 2013, with one such bill (HB 1385) being signed into law in Oklahoma. A 2012 article in USA Today revealed that 10 of the biggest for-profit online K-12 schools (including Connections, which is the second largest) "have spent millions in taxpayer dollars on advertising" -- $94.4 million from 2007 to 2012. Jim Buckheit, executive director of the Pennsylvania Association of School Administrators, told the New York Times, "Some of the cyber charter schools have fairly aggressive recruitment campaigns. . . . They have vans, billboards, TV and radio ads. They set up recruitment meetings in area hotels and invite parents to come." The massive advertising pulls in parents, students, and state money, but students often do not stay in the cyber school, and one study indicates that "churn" -- or turnover -- of students could be more than 50 percent in some schools. Arizona Connections Academy has "reported that 30 percent of enrolled students leave sometime during the school year," according to the Arizona Republic. In comparison, Mesa Unified, the school's largest district, had a "churn" rate of 12 percent in the 2010-2011 school year. The Arizona Republic report added that "doubts about quality plague Arizona's online schools," and "the largest online schools in K-12 lag the state averages among all Arizona public schools in most standardized test scores and in graduation rates. Turnover of students is high, which indicates many students have failed to get traction in mastering their courses or maintaining their motivation." A problem with the money-following-student system is that the majority of costs associated with running a school are not per pupil. A district that now has five high school students attending the new charter school, for example, can’t eliminate a teacher at its high school. Its heating costs haven’t dropped ... It costs the same to run its bus, even though five fewer students now ride it. But it must now operate its school with less money. The bills also include a 3 percent fee paid to the Maine Charter Commission, which authorizes charter schools in the state. "At a time when Maine is struggling with poverty, schools are making drastic cuts everywhere, now we have this virtual school on top of it," said Tim Doak [to the Bangor Daily News], superintendent of School Administrative District 27, which serves Fort Kent. Two students from the Fort Kent area will attend Maine Connections Academy... The cost of educating a student in the Fort Kent area is about $7,000, so the district’s bill from the charter school comes out to $14,000—all of which must be paid this year—according to Doak. "Right now, we have no way to prepare for this,” he said. “Should we have a line [in our budget] that’s $25,000 for virtual charter schools just to be safe? I don’t know." Connections Academy has funded the Foundation for Excellence in Education (FEE), a non-profit education reform advocacy group founded by former Florida governor Jeb Bush, according to emails released by the non-profit privatization resource organization In the Public Interest. FEE is "backed by many of the same for-profit school corporations that have funded ALEC and vote as equals with its legislators on templates to change laws governing America's public schools," as noted by PRWatch. Bush's group is also "bankrolled by many of the same hard-right foundations bent on privatizing public schools that have funded ALEC" and "they have pushed many of the same changes to the law, which benefit their corporate benefactors and satisfy the free market fundamentalism of the billionaires whose tax-deductible charities underwrite the agenda of these two groups." "The emails, obtained through public records requests, reveal that the organization, sometimes working through its Chiefs For Change affiliate, wrote and edited laws, regulations and executive orders, often in ways that improved profit opportunities for the organization’s financial backers. Bush has been referred to as the 'godfather' of Chiefs for Change, an alliance of conservative state superintendents and education department directors with significant authority over purchasing and policy in their states." In their U.S. Securities and Exchange Commission (SEC) filings, publicly traded companies are required to highlight for shareholders any “risk factors” in their sector that could affect their business and future prospects. These risk factors, which are listed in the annual report (Form 10-K) often show the incentives the company has to influence public policy and the direction their advocacy would take. Our US and UK educational solutions and assessment businesses may be adversely affected by changes in government funding resulting from either general economic conditions, changes in government educational funding, programs, policy decisions, legislation and/or changes in the procurement processes. The results and growth of our US educational solutions and assessment businesses are dependent on the level of federal and state educational funding... [emphasis added]. "In the US we actively monitor changes through participation in advisory boards and representation on standard setting committees. . . . We work through our own government relations team . . . [to monitor] municipal funding and the impact on our education receivables." Pearson is a major player in education politics, spending some $8 million lobbying in the U.S. between 2008 and 2014 and underwrote untold sums on luxury trips for school officials. A crackdown by the New York attorney general led to a $7.7 million settlement in 2013, and the shuttering of the “charitable” organization used for the scheme. See the Sourcewatch article Pearson for more information on Connections Education's parent company. Connections Education spent $270,000 on education lobbying at the federal level from 2009 to 2011: $60,000 in 2009 (as Connections Academy), $120,000 in 2010, and $90,000 in 2011. After its acquisition by Pearson 2011, Connection Education stopped reporting lobbying activity individually. At the state level, Connections Education registered lobbyists in nine states from its founding in 2010 through 2012, while Connections Academy and its state-based affiliates lobbied in 27 states from 2003 through 2012. In Wisconsin alone, Connections Academy spent $92,000 lobbying on the issue of virtual public schools from 2003-2011, according to a review of Wisconsin Government Accountability Board data by the Center for Media and Democracy. Bryce Adams, Senior Director of State Relations at the Connections Academy chain of online charter schools, exerted pressure on Utah school officials in 2014. When the state tightened its regulations by prohibiting schools from outsourcing their student records to third parties, Adams submitted a corporate line-by-line rewrite of the law. He also issued a warning: if the law is not changed, “student achievement” will suffer. From 2012 to 2014, Utah Connections Academy received $643,792 in federal funds, according to state receipts reports. In Maine, Governor Paul LePage worked closely with national virtual school lobbying groups to craft Maine's education policy. Connections Academy hired former Maine State Chamber of Commerce lobbyist and GOP legislative staffer Chris Jackson to lobby for the company in 2011 and 2013, according to the Maine Commission on Governmental Ethics and Election Practices. LePage, whose administration put a priority on subsidizing for-profit education corporations with public funds, named Stephen Bowen as Commissioner of the Maine Department of Education in 2011. Bowen was a member of the ALEC Education Task Force when he worked on the staff of the Maine Heritage Policy Center, a member of the right-wing web of groups called the State Policy Network. In January 2013, LePage called for the resignation of Maine Charter School Commission members who turned down four out of five charter school applications, including a repeat attempt by K12 Inc. and Connections Academy. In March 2011, Rep. Robin Vos, former ALEC state chairman for Wisconsin, introduced Assembly Bill 51, which was to erase the cap on the number of pupils who may attend virtual charter schools and weaken teacher licensing requirements. AB 51 drew from a number of ALEC bills, especially the "Next Generation Charter Schools Act," which includes the idea of an authorizing board that makes it easier to establish charter schools over the objections of school districts and other school officials, and the "Charter Schools Act," which states that charter schools are to be funded at a per-pupil rate, as public schools are. On February 10, 2011, Thomas Fonfara of Arrowhead Strategies, LLC registered as a lobbyist on behalf of Connections Academy/Connections Education LLC. Between that date and June 30, 2011, Connections paid him $24,000 for "development, drafting or introduction of a proposal relating to virtual charter schools" or "virtual schools," intending to affect "both legislative matter and rule," according to the Wisconsin Government Accountability Board. Connections Academy was a private sector chair of the ALEC Education Task Force at the time the Charter School Reform Bill (AB 51-SB 22) was introduced and stood to benefit from its passage through its Wisconsin Connections Academy. When the bill failed to pass, Governor Scott Walker instead added a provision to the state budget to lift the enrollment cap on virtual charter schools, while the budget simultaneously stripped $834 million from Wisconsin public schools. Connections had previously hired Thomas Fonfara to lobby on its behalf from 2006 to 2008. In January 2008, the Wisconsin state legislature introduced AB 697 and SB 396 relating to "virtual charter schools" and "online courses for elementary and secondary school pupils and granting rule-making authority." In the first half of 2008, Connections Academy spent over $35,000 in lobbying expenditures to Fonfara and his firm at the time, Quarles & Brady, lobbying on these two bills and another related virtual schools bill. SB 396, a compromise bill to keep Wisconsin's virtual schools open after an appeals court ruled that the largest virtual school in the state had violated state law, was signed by Governor Jim Doyle on April 7, 2008, and became the 2007 Wisconsin Act 222. In 2011, the progressive group Our Oregon reported that freshman Oregon State Rep. Matt Wingard (R-Wilsonville), a vocal advocate of online schools and Connections Academy in particular, was actually on the payroll of Connections Academy while in public office in at least 2008. It also noted that the President of Oregon Connections Academy is Jeff Kropf, former state legislator and later state director of the Koch-funded Americans for Prosperity. Steven Guttentag, Co-Founder and President. Former Chief Education Officer for Education Networks of America. 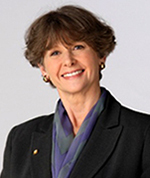 Barbara Dreyer was a Connections Academy co-founder (with Mickey Revenaugh) and Chief Executive Officer and President. She previously founded two technology companies: Speakout.com/Ntercept Communications, a web research group that existed from 1999 to 2002, of which she was also Chief Operating Officer; and VideoGrafects, a multimedia development company, of which she was also President. She also had previous experience in accounting as well as in telecommunications, venture capital, and chemical manufacturing firms, but no known previous experience in education. Dreyer passed away in 2014. Stephanie Simon, Cyber schools flunk, but tax money keeps flowing, Politico, September 25, 2013. Alex Molnar, Ed., National Education Policy Center, Virtual Schools in the U.S. 2013: Politics, Performance, Policy, and Research Evidence, organizational report, May 2013. 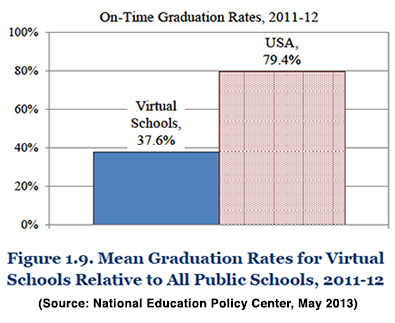 Center for Public Education, Searching for the Reality of Virtual Schools, organizational report, May 2012. Stephanie Saul, Profits and Questions at Online Charter Schools, New York Times, December 12, 2011. Lee Fang, How Online Learning Companies Bought America's Schools, The Nation, December 5, 2011. Gene V. Glass and Kevin G. Welner, National Education Policy Center, Online K-12 Schooling in the U.S.: Uncertain Private Ventures in Need of Public Regulation, organizational report, October 2011. Burt Hubbard and Nancy Mitchell, Online K-12 Schools Failing Students but Keeping Tax Dollars, iNews Network (Rocky Mountain PBS), September 27, 2011. Julie Underwood, ALEC Exposed: Starving Public Schools (sub. req'd. ), The Nation, July 12, 2011. Center for Research on Education Outcomes, Charter School Performance in Pennsylvania, organizational report, April 4, 2011. Brendan Fischer, Cashing in on Kids: 139 ALEC Bills in 2013 Promote a Private, For-Profit Education Model, PRWatch, July 16, 2013. Lisa Graves, "Taxpayer-Enriched Companies Back Jeb Bush's Foundation for Excellence in Education, its Buddy ALEC, and Their 'Reforms,'" PRWatch, November 28, 2012. Mary Bottari and Sara Jerving, "Won't Back Down" Film Pushes ALEC Parent Trigger Proposal, PRWatch, September 19, 2012. Rebekah Wilce, EnergySolutions and Connections Education Are 27th and 28th Corporations to Leave ALEC, PRWatch, July 20, 2012. Dustin Beilke, ALEC Education "Academy" Launches on Island Resort, PRWatch, February 2, 2012. Mary Bottari, ALEC Bills in Wisconsin, PRWatch, July 14, 2011. Sean Cavanagh, N.M. Schools Chief Overrules Panel, Clears Path for Virtual School, Education Week, February 5, 2013. Valerie Strauss, E-mails link Bush foundation, corporations and education officials, Washington Post, January 30, 2013. Stephanie Simon, "Online schools face backlash as states question results," Reuters, October 3, 2012. Forces behind the privatization of education, Workers World, May 17, 2012. Rhania Khalek, Why Is Public Education Being Outsourced to Online Charter Schools?, Alternet, January 8, 2012. ↑ 1.0 1.1 1.2 1.3 1.4 Stephanie Saul, Profits and Questions at Online Charter Schools, New York Times, December 12, 2011. ↑ 2.0 2.1 2.2 2.3 2.4 2.5 Pearson, 2014 Annual Report, company SEC filing, accessed June 17, 2014. ↑ 3.0 3.1 3.2 3.3 Connections Academy About Connections Academy, a Free Online School, company website, accessed July 2013. ↑ Politico, Cyber schools flunk, but tax money keeps flowing, September 25, 2013. ↑ 5.0 5.1 5.2 5.3 Mary Bottari, ALEC Bills in Wisconsin, PRWatch, July 14, 2011. ↑ Lyndsey Layton, Study raises questions about virtual schools, Washington Post, October 24, 2011. ↑ Lyndsey Layton and Emma Brown, Virtual schools are multiplying, but some question their educational value, Washington Post, November 26, 2011. ↑ Trevor Aaronson and John O'Connor, Florida Investigates K12, Nation's Largest Online Educator, State Impact (NPR), September 11, 2012. ↑ 9.0 9.1 9.2 9.3 9.4 National Education Policy Center, Virtual Schools in the U.S. 2013: Politics, Performance, Policy, and Research Evidence, organizational report, Alex Molnar, ed., May 2013. ↑ National Education Policy Center, A Study of Student Characteristics, School Finance, and School Performance in Schools Operated by K12 Inc., organizational report, July 2012. ↑ Dun & Bradstreet, "Apollo Management, L.P. Report," online business credit report, prepared June 15, 2011. ↑ Connections Education, Connections Education, organizational website, accessed July 2013. ↑ Pearson, Pearson acquires Connections Education, corporate press release, September 15, 2011. ↑ 14.0 14.1 Lisa Graves, "Taxpayer-Enriched Companies Back Jeb Bush's Foundation for Excellence in Education, its Buddy ALEC, and Their 'Reforms,'" PRWatch, November 28, 2012. ↑ X-Rates, Rate US Dollar per 1 British Pound Monthly average 2011, currency exchange rate website, accessed July 2013. ↑ 16.0 16.1 Pearson, Annual Report and Accounts, 2011. ↑ 17.0 17.1 Pearson, Annual Report and Accounts, 2012. ↑ X-Rates, Rate US Dollar per 1 British Pound Monthly average 2012, currency exchange rate website, accessed July 2013. ↑ Pearson, 2014 report, company SEC filing, accessed July 24, 2014. ↑ National Conference of State Legislatures, Education Bill Tracking Database, organizational database, accessed September 2013. ↑ Gary Miron, Jessica Urschel, Mayra A. Yat Aguilar, Breanna Dailey, National Education Policy Center, Profiles of For-Profit and Nonprofit Education Management Organizations: Thirteenth Annual Report - 2010-2011, organizational report, January 6, 2012. ↑ Center for Research on Education Outcomes, Charter School Performance in Pennsylvania, organizational report, April 4, 2011, p. 20. ↑ Burt Hubbard and Nancy Mitchell, Online K-12 Schools Failing Students but Keeping Tax Dollars, iNews Network (Rocky Mountain PBS), September 27, 2011. ↑ Eric Litke, Virtual schools offer cost savings, Manitowoc Herald Times Reporter, August 27, 2012. ↑ Pearson, Connections Learning division, Management Team: Mickey Revenaugh, corporate website, accessed September 2013. ↑ American Legislative Exchange Council, Education Task Force, organizational website, accessed July 8, 2011. ↑ American Legislative Exchange Council, Education Task Force Meeting Agenda, organizational agenda, May 11, 2012, document obtained and released by Common Cause. ↑ 30.0 30.1 30.2 Center for Media and Democracy, ALEC at 40: Turning Back the Clock on Prosperity and Progress, organizational report, August 2013, p. 25. ↑ Lisa Graves, Taxpayer-Enriched Companies Back Jeb Bush's Foundation for Excellence in Education, its Buddy ALEC, and Their "Reforms", PRWatch, November 28, 2012. ↑ American Legislative Exchange Council, Education Task Force: News: Task Force Meeting December 4, 2004, organizational website, archived by the Wayback Machine on February 4, 2005. ↑ American Legislative Exchange Council, Virtual Public Schools Act, organizational "model" legislation, approved January 2005, obtained and released by the Center for Media and Democracy July 2011, accessed September 2013. ↑ In the Public Interest, Profiting from Public Dollars: How ALEC and Its Members Promote Privatization of Government Services and Assets, September 2012. ↑ Connections Academy, About Us, company website, accessed September 2013. ↑ 36.0 36.1 American Legislative Exchange Council, ALEC Education Task Force 35-Day Mailing, organizational document, March 31, 2011, obtained and released by Common Cause April 2012. ↑ 37.0 37.1 Mary Bottari and Sara Jerving, "Won't Back Down' Film Pushes ALEC Parent Trigger Proposal," PRWatch, September 19, 2012. ↑ Greg Toppo, Online schools spend millions to attract students, USA Today, November 28, 2012. ↑ Pat Kossan, Anne Ryman, and Matt Dempsey, Online schools face questions over quality, effectiveness, Arizona Republic, December 11, 2011. ↑ 40.0 40.1 40.2 Nell Gluckman, "Big bills from virtual school raise tensions with Maine school districts," Bangor Daily News, August 30, 2014. ↑ In the Public Interest, Corporate Interests Pay to Play to Shape Education Policy, Reap profits: Emails Show Bush-Led Organization's ALEC-Like Role in State Policymaking, organizational publication, January 30, 2013. ↑ Donald Cohen, In the Public Interest, Bush's Education Nonprofit and Corporate Profits, organizational publication, January 30, 2013. ↑ Jonas Persson, "Pearson, ETS, Houghton Mifflin, and McGraw-Hill Lobby Big and Profit Bigger from School Tests," Center for Media and Democracy, PR Watch, March 30, 2015. ↑ Center for Responsive Politics, Lobbying: Connections Education (Summary), OpenSecrets lobbying database, accessed July 2013. ↑ Center for Responsive Politics, Connections Education, lobbying profile, accessed June 2015. ↑ National Institute on Money in State Politics, Connections Education, FollowTheMoney.org state lobbying database, accessed August 2013. ↑ National Institute on Money in State Politics, Connections Academy, FollowTheMoney.org state lobbying database, accessed August 2013. ↑ Wisconsin Government Accountability Board, Lobbying Principals, Eye on Lobbying database searches for Connections Academy and Connections Education, 2003-2011, accessed June 2014. ↑ E-mail from Bryce Adams to Natalie Grange (internal audit director for Utah State Board of Education), document obtained through records request, on file with Center for Media and Democracy. ↑ Jonas Persson, "Charter Industry Strong-Arms Public Officials; $3.3 Billion Spent," Center for Media and Democracy, PR Watch, May 28, 2015. ↑ 51.0 51.1 Andy O’Brien, A Virtual Impasse in Augusta on Charter Schools, The Free Press, July 3, 2013. ↑ Federle Mahoney Government Affairs, LLC, Chris Jackson, lobbying firm biography, accessed September 2013. ↑ Maine Commission on Governmental Ethics and Election Practices, Lobbyist Compensation 2013, state lobbyist compensation spreadsheet, file last updated July 24, 2013. ↑ Maine Commission on Governmental Ethics and Election Practices, Lobbyist Compensation Report 2011, state lobbyist compensation spreadsheet, 2011. ↑ Wisconsin Government Accountability Board, Lobbying and Time Expenditures: Connections Education LLC, Eye on Lobbying state lobbying database, January 1 - June 30, 2011 report. ↑ Wisconsin Government Accountability Board, Lobbying Principals: Connections Education LLC: Interests, Eye on Lobbying state lobbying database, reporting date January 1, 2011. ↑ Amy Hetzner and Erin Richards, Budget cuts $834 million from schools, Milwaukee Journal Sentinel, March 1, 2011. ↑ National Institute on Money in State Politics, Client Summary: Connections Academy Inc., FollowTheMoney state political influence database, accessed September 2013. ↑ 60.0 60.1 Wisconsin State Legislature, SB 396, state legislative bill tracking website, accessed September 2013. ↑ Wisconsin State Legislature, AB 697, state legislative bill tracking website, accessed September 2013. ↑ Wisconsin Government Accountability Board, Lobbying and Time Expenditures: Connections Academy Inc, Eye on Lobbying state lobbying database, January 1 - June 30, 2008. ↑ Kathy Walsh Nufer, Compromise good news for state's virtual schools (sub. req'd. ), Appleton Post-Crescent (accessed via Lexis-Nexis), March 12, 2008. ↑ Rep. Matt Wingard, 2009 Annual Verified Statement of Economic Interest, Oregon state ethics disclosure, April 6, 2009. ↑ Scott Moore, Matt Wingard's Plan to Line His Pockets with Your Tax Dollars, Our Oregon, June, 2011. ↑ Connections Academy, Management Team, organizational website, accessed June 17, 2015. ↑ Connections Academy, Management Team, organizational website, accessed July 24, 2014. ↑ Ntercept Communications, Bloomberg BusinessWeek, accessed August 2013. ↑ Barbara Dreyer, LinkedIn.com profile, accessed August 2013. ↑ University of Maryland University College, Dreyer, academic biography, accessed August 2013. ↑ Connections Academy, Barbara Dreyer, corporate biography, accessed August 2013. ↑ Connections Academy, "Management Team: In Memoriam," organizational website, accessed June 18, 2015.